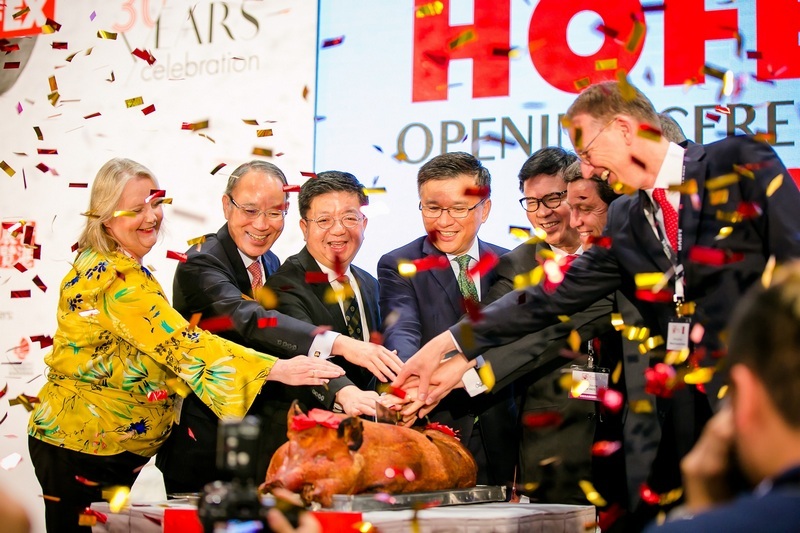 (15 April 2019, Hong Kong) HOFEX, Asia’s Leading Food & Hospitality Tradeshow will return to Hong Kong for its biggest year yet 7-10 May at Hong Kong Convention and Exhibition Centre (HKCEC), where the biennial show will occupy almost every available exhibition space. 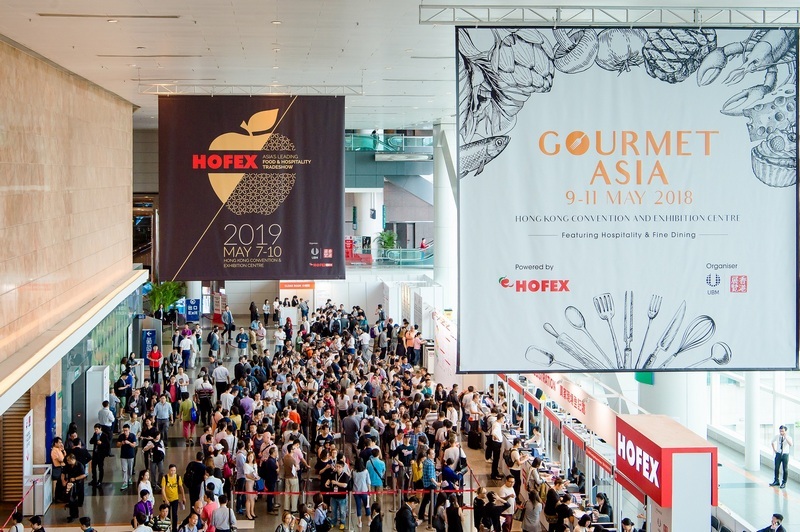 Expecting more than 2,800 international exhibitors and 42,000+ trade buyers, HOFEX 2019 will cement its position as the region’s largest and most important meeting place for the hospitality industry. Occupying an exhibition space of over 70,000 m2 across 3 levels of HKCEC, trade visitors will be able to sample and source everything for the food and hotel industry. 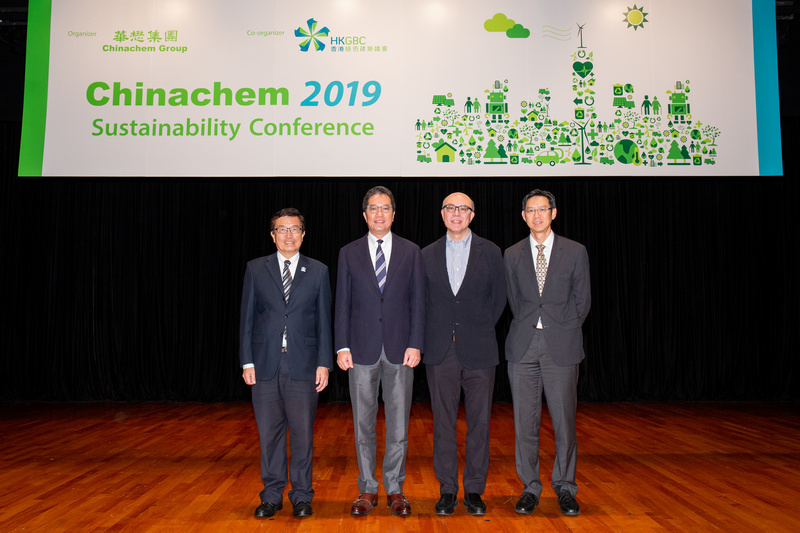 The show’s opening ceremony, which will take place on 7 May 2019 will be attended by The Honourable Paul CHAN Mo-po, GBM, GBS, MH, JP Financial Secretary, The Government of the Hong Kong Special Administrative Region. HOFEX is organised by UBM Asia and is co-located with ProWine Asia and Retail Asia Conference & Expo. 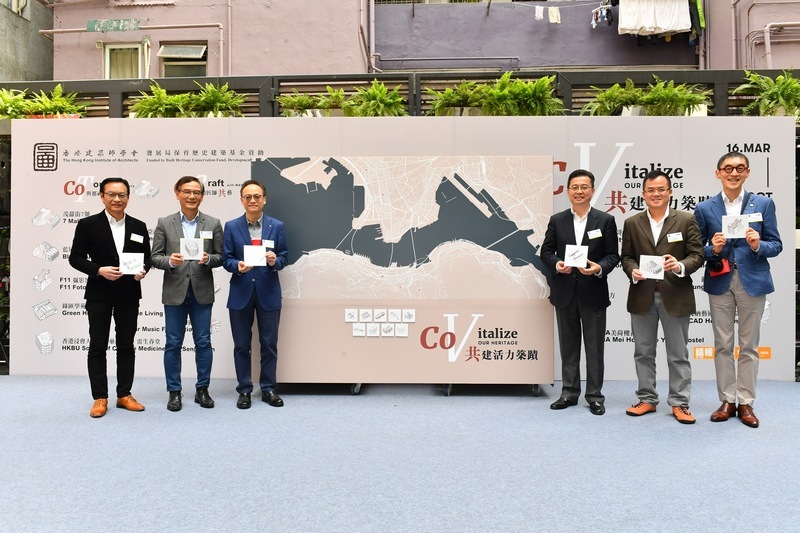 74 exhibiting countries and regions and 48 national and regional groups and pavilions make the 2019 edition of HOFEX the most international year yet. 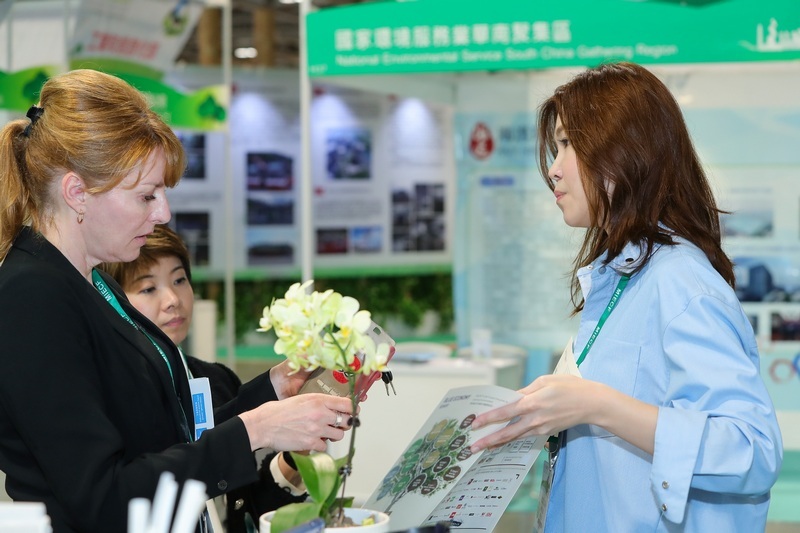 In addition to long-supporting exhibitors including Japan, Australia, UK, USA, Germany, Austria and Spain, this year will welcome newcomers AANA – Agence de l’Alimentation Nouvelle-Aquitaine France, AREI Latvia, Association PorkColumbia, British Columbia, Ministry of Agriculture Czech Republic, Spanish Beef, VLAM Belgium and more. 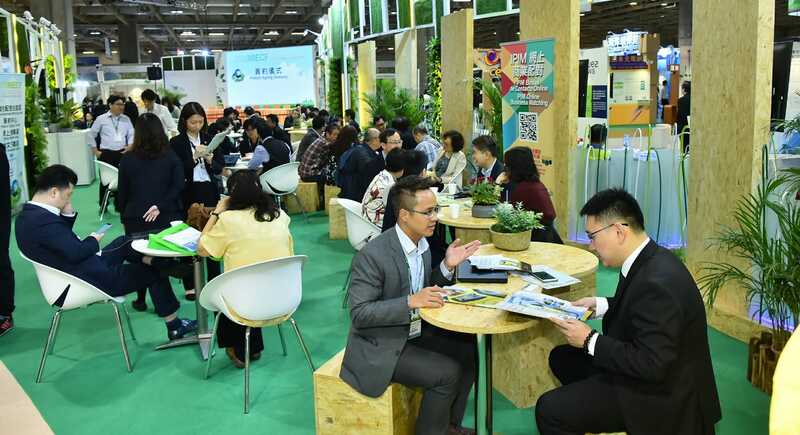 This year’s tradeshow has been strategically organised to optimise buyers’ experiences with the aim of maximising networking potential across the vast space. Hall 1 will house Bakery & Confectionery @ HOFEX, where global and local manufacturers can meet with buyers from the ever-growing Asia-Pacific bread, cakes, pastries and confectionery markets; Bean2Cup @ HOFEX, where baristas, café owners, coffee producers and suppliers will find everything from coffee beans to espresso machines; Foodservice Equipment & Catering Supplies, where state-of-the-art international catering equipment will be showcased; and Tableware & Hospitality Supplies, Hospitality Technology and Hospitality Design, where hospitality professionals from restaurants, resorts, hotels, spas and more will find ideas and inspiration to build a more streamlined business – from manufacturing and production to packaging, design and facilities. Food and Drinks is in Hall 3 & 5 where visitors can enjoy local as well as exotic offerings from the many international pavilions, ranging from frozen and chilled seafood to cured and fresh meat, snacks and beverages, baked goods, confectionery, ice cream, canned foods and more; co-located show ProWine Asia, the region’s leading wine and spirits trade fair showcasing premium wine, beers, professional wine equipment and accessories from around the world; and Meat @ HOFEX, dedicated to the surging demand for prime meats across APAC and featuring the world’s leading meat purveyors from Colombia, Germany, Ireland, South Africa, the UK and more. Meat @ HOFEX will also be home to a new star of the show, HOFEX’ first food truck, sponsored by the Butcher’s Club. This mobile kitchen will roam the exhibition floor preparing and delivering meat from the Butchery Skills Challenge to visitors adjacent to Beer Street, serving up a match made in heaven. Hall 5 will house the co-located Retail Asia Conference & Expo (RACE). Presenting the latest catering and hospitality innovations, retail technologies and solutions including everything from floor-cleaning robots with 3D cameras to revolutionary Point of Sale systems and internet retailing. 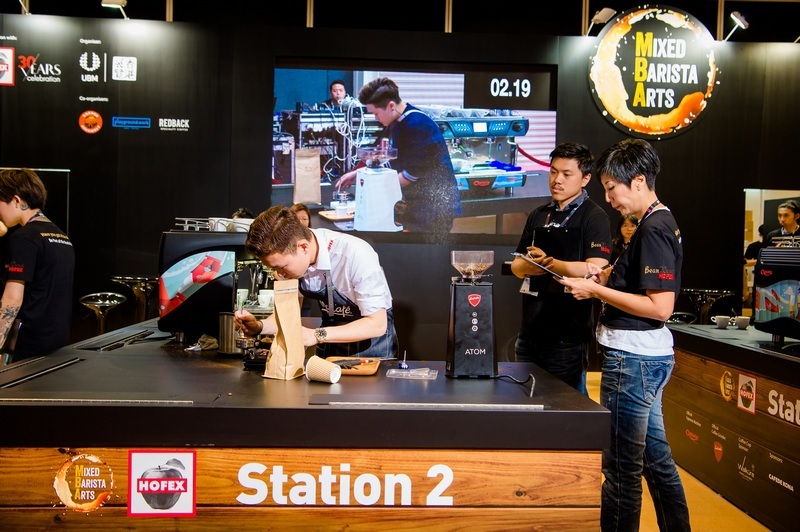 RACE provides trade professionals at HOFEX with an unrivalled opportunity to enhance operational performance. The culinary heart of the fair, the Hong Kong International Culinary Classic (HKICC) will see over 900 chefs, cooks, pastry chefs and apprentices from across the globe hone their culinary skills at this esteemed competition. 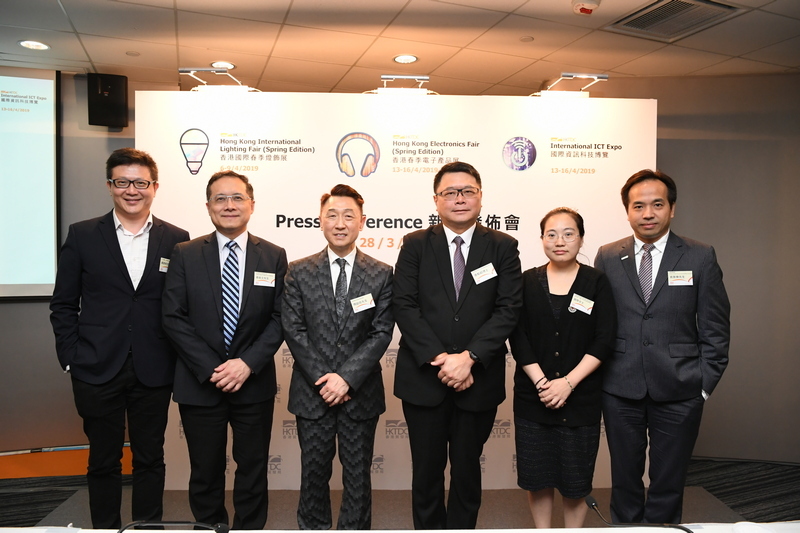 This year, CLP Power Hong Kong Limited will be the Platinum Sponsor of the event, showcasing its latest ‘All-Electric Kitchen’ concept. Endorsed by the World Association of Chefs’ Societies (WACS), the competitions include a Live Afternoon Tea Set Competition, the Gourmet Team Challenge and for the first time a Gelato competition sponsored by Bonny Foodservice Products, which provides a unique chance to mingle with the world’s best Gelato makers. 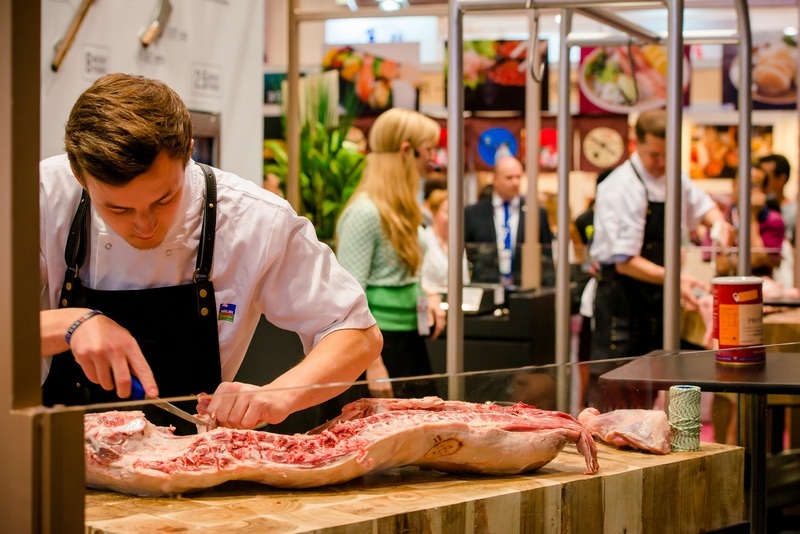 The HKICC is also home to the impressive Butchery Skills Challenge sponsored by Sutherlands Gastronomy, where international teams of talented butchers will show off their passion, precision and power in a bid to be the best. Meanwhile, baristas from across the region will battle it out during the popular Mixed Barista Arts. Taking on a brand-new competition format this year, the 4-in-1 challenge will be comprised of 4-barista arts, namely single origin coffee knowledge and tasting ability, grinder skills and knowledge, latte art and ability to work as a team. HOFEX is organised by UBM Asia, the largest tradeshow organiser in Asia with over 290 events, combining local expertise with a global industry network to provide high-quality events and the best customer experience for event attendees from all over the world. Pre-registration for HOFEX 2019 is now open until 18 April on the website. Walk-ins are available on-site, and visitors may register and pick up a pass outside Hall 1. 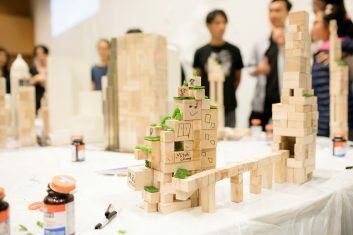 The show is open to trade professionals and media only and visitors must be aged 18 or above. 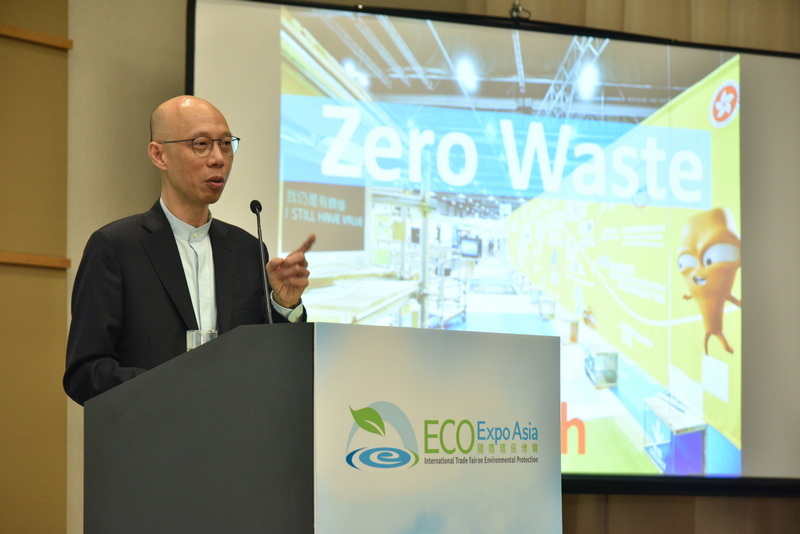 Pre-registration passes include a complimentary 4-day show admission badge to HOFEX, ProWine Asia and Retail Asia Conference & Expo, as well as an electronic Advance Buyer’s Guide and access to the tradeshow’s complimentary business matching services. Remarking 32 years of excellence, HOFEX – Asia’s Leading Food & Hospitality Tradeshow, has been taking the industry on numerous extraordinary journeys of culinary delicacies from all over the world, bringing the most comprehensive selection of Food & Drinks, Hospitality Equipment & Supplies products to Asia. Continuing successful cooperation with food and hospitality, ProWine Asia 2019 will bring a diverse assemblage of established international labels while offering the best practices, credibility and global recognition brought about by ProWein Düsseldorf – the World’s leading international trade fair for wines and spirits. As the leading retail exhibition in Asia, RACE is proudly recognised as the MUST-JOIN event among the industry’s most influential retailers and buyers. RACE features three focus areas: Retail Technology, Retail Design & In-Store Marketing and Internet Retailing, as well as various onsite educational seminars and networking events.